What is it about the sea that people find so spellbinding? First of all, it’s the size of it, which is hard to determine or even understand. The sea has this unbearable depth, the unique, dense texture that we cannot really seize or even touch properly. It is constantly escaping. And yet, it seems to contain so many things, possibly even some unrevealed truths that are all hidden under the surface, in the water. 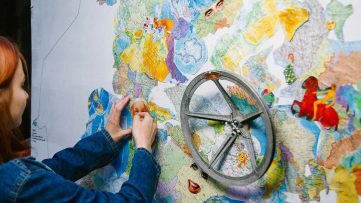 It is used as a metaphor for so many instances, deployed figuratively to explain how big, broad, mysterious or omnipresent things are (because the sea really is all of those things). The sea appears in works of so many artists, both as an actual physical occurrence and a symbol. And the most interesting thing is that it never really looks the same, everyone sees it differently. The Spanish artist Pejac was also inspired by the majesty of sea, but not in a direct, apparent way. 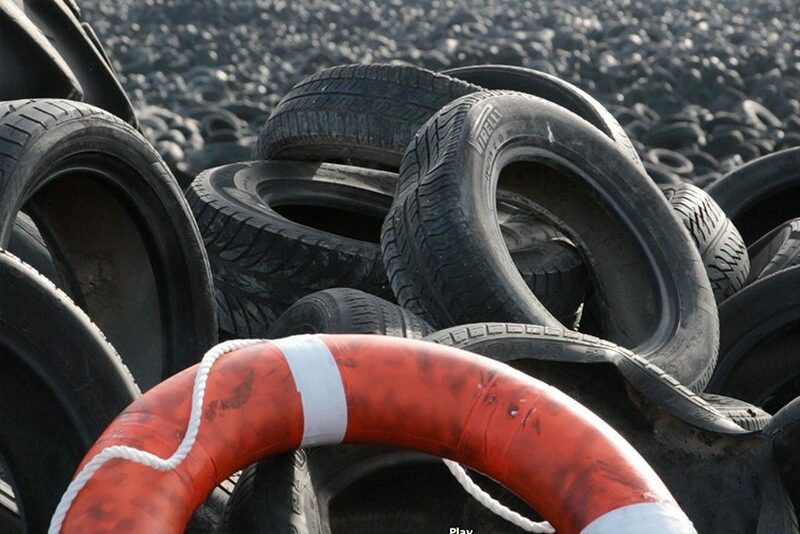 The idea of the sea, which exists in human mind as a metaphor, was used as a word to define the abundance of disused tires. It may sound strange, but once you look at the visuals there is no coincidence, everything makes sense. 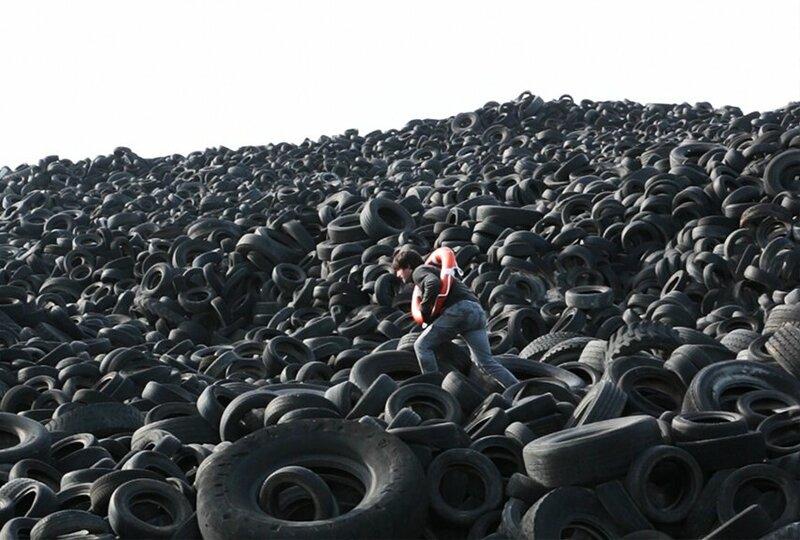 The indeterminable number of tires touch each other like waves. 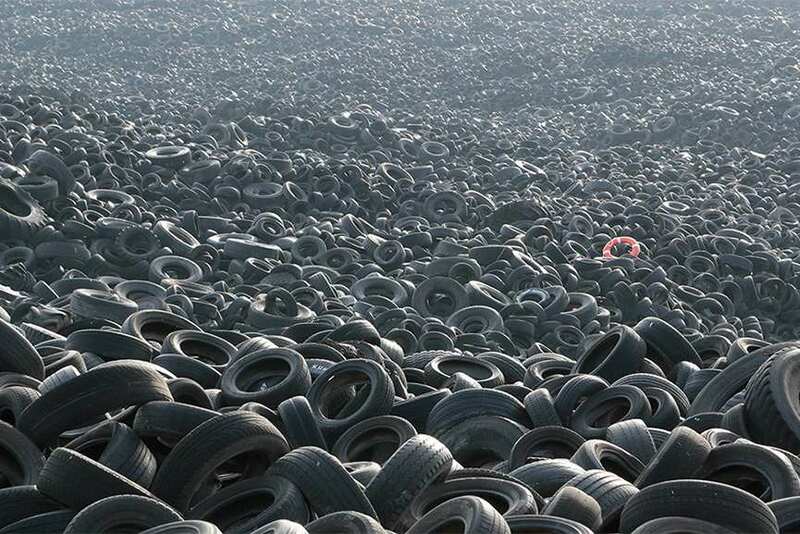 Even the artist himself says that he was not sure whether he was surrounded by hundreds or thousands, or even millions of tires. What happened to him was almost incredible. 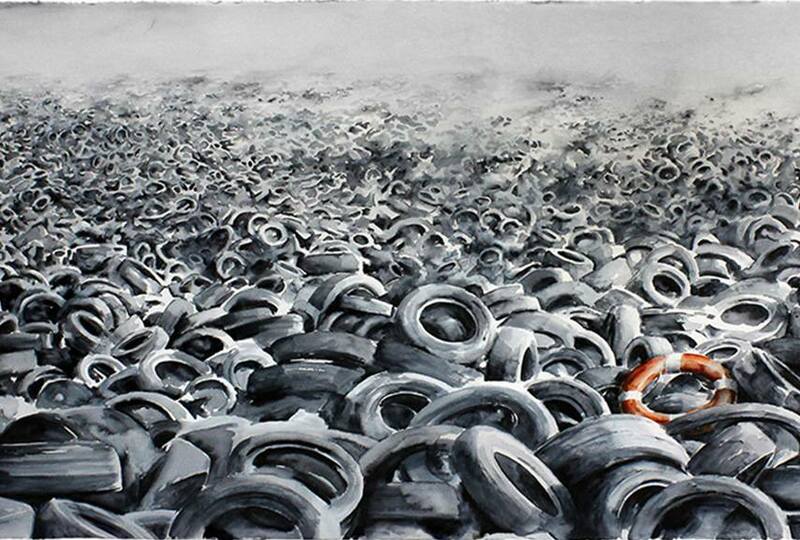 After having painted a watercolor entitled Heavy Sea a couple years ago, which depicted a lifesaver in a sea of disused tires, he came across that very same artificial landscape on one of his journeys. The only thing missing was the lifesaver of course, and at that point he decided to complete the “poetic nightmare made real”. Once he completed this incarnation of his own imagination, Pejac made a video about this uncanny landscape and took photographs that, indeed, look like deliberately made replicas of his painting. Human relationship with nature, or what we used to call nature at least, obviously has many issues as such, and this is not a novelty. 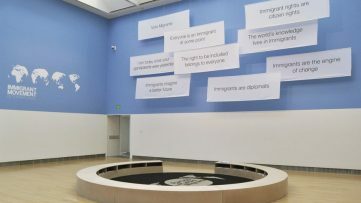 Many artists reflect on this subject, and engage with activism. Pejac’s honest approach was somewhat subtle and simplistic but very direct and effective, just like most of his works are, for that matter (if we refer to the technique, regardless of its meaning, we might even call it a contemporary version of a ready-made because of the very simple way that it was turned into a project). 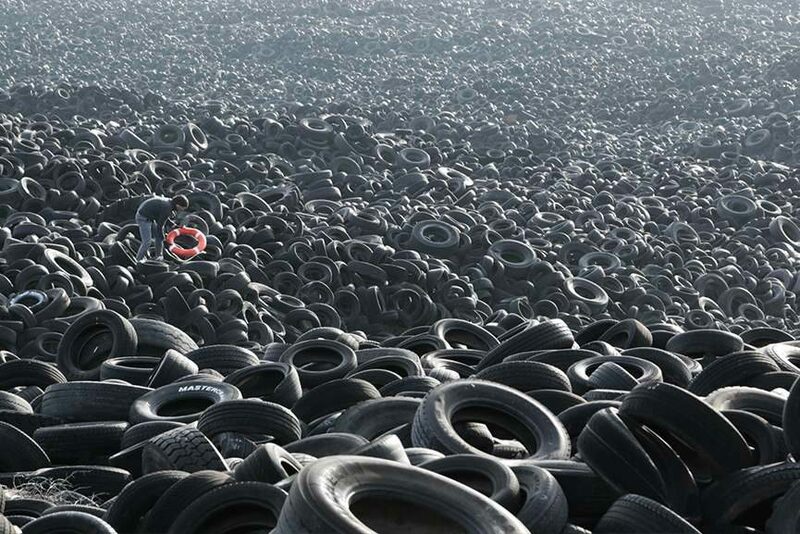 However, along with the problems that regard the way we treat nature, the very definition of it begins to change. Ultimately we will have to accept that today we live in a world where trees, soil, animals, humans, and objects as well, are all part of nature. So even if we do have real issues to worry about, perhaps we should start with accepting this brave new world as it is. All images courtesy of Pejac and SUBEN. 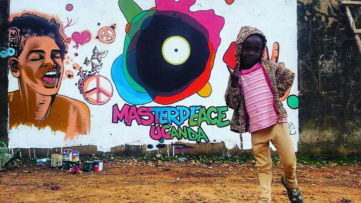 Street Art for Social Change – Painting 100 Walls in 40 Countries to Promote Unity!